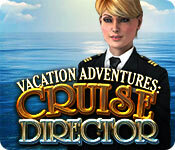 Rated 5 out of 5 by BanditRedd from GET ON THE CRUISE SHIP AND HAVE FUN!! i have bought ALL the series of Cruise Vacation as well as all of the series of Park Ranger also. I am very hooked on these series. The music is relaxing, the HO is brilliantly done. Not overly hard , but enough that makes you hunt and does not make you go crazy!!! The scenery is fantastic, that i feel i am actually there!!! 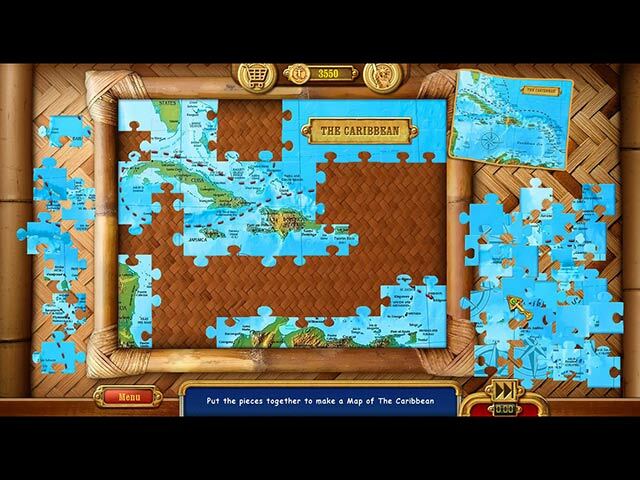 The puzzles are not hard, that makes them enjoyable to play. I am looking for to more of these HO games. Please make more!!!! Rated 5 out of 5 by augienz from tricky to spot some items really enjoyed playing, no brainer/total distraction but some items were tricky to find. Puzzle at the end was satisfying to complete. Rated 5 out of 5 by Mac_the_singer from My brain is working!!! A great game. Very entertaining. But most of all it give a great variety of challenges that help to exercise this poor old souls brain. So very sorry it has come to the end. Highly recommended. More please ASAP. Rated 5 out of 5 by Loyou from Love it! I hope there will be more games like this for Mac. It's really fun to play. This made changing games of witchcraft or demon. Rated 5 out of 5 by arnold1049 from CHALLENGING HOG This was a very challenging hidden object game. There were tons of HOS and the items were very well hidden. The minigames were fairly standard fare, but some of the puzzles took a lot of work. In particular, some of the jigsaws were mind numbing. This game follows a couple as they take a cruise around North and South America There are lots of locations both on and off the ship, where the ship makes stops along the way. Each location has three star levels to achieve. Finding all the HO earns a bronze, finding all the trash items or the lost items in addition gets a silver star and finding all 3 types of items earns a gold star. There are also 15 achievements to be won. I missed out on 2; playing a minigame in less than 1 minute and playing the complete game in under 3 hours. I'm thinking that it would take a speed demon to reach these two goals. Points earned during the game can be used to purchase souvenirs from the gift shop. I earned enough points to buy all the souvenirs and still had over 10,000 points left at the end. The storyline really isn't too relevant to the game, just a way to get from one location to another. I played without sound, as usual. There are 2 levels of difficulty. This is a totally HOG; no bells or whistles to speak of, so it is for HOG lovers only. I enjoyed it thoroughly and am looking forward to a sequel. Rated 5 out of 5 by Kimmycoo from I love this series! I love all of the Vacation Adventure games. Love the music, love the crisp, beautiful, superb scenes in each level. I love picking up the trash and then looking for the extras and then on to the regular HO items all in each scene. My only gripe is that I wish this one was as long as the previous ones. I want more scenes, more trash to find, I love you guys.... I loved visiting Rio, San Fran, Mexico in this game...I felt like you get a bit of history and geography in the areas you visit. I am sure some of these shots were actual pics turned into CG (I LOVED THAT) Id love it if you guys took us to places like Japan or Ireland ect other continents, bring it on. I love these games, I will buy them without playing the demos! Always a 5 stars from me on Vacation Adventures!! Rated 5 out of 5 by finch100 from Outstanding Having played Vacation Adventures: Park Ranger 1 & 2 my husband and I were looking forward in playing this latest game and we were not disappointed, its outstanding ! If you too liked these games, you are in for a treat, the game is even better with more things to do. What we like about these games from Casual Arts is that they are not dark adventure games but colourful bright HOG scenes complete with fun mini games. The story line is great, so much so we have decided to take a Cruise next year. 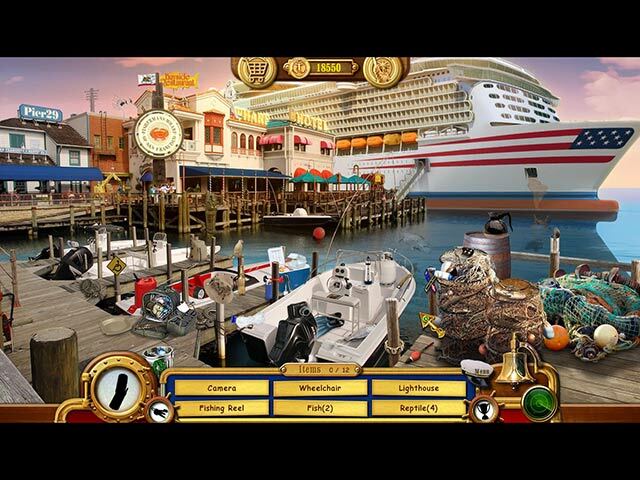 Rated 5 out of 5 by splash1234 from Love these adventure/vacation games! I love all the games that take you away on a vacation and a fun adventure! There is a lot of different things to do and see and its just relaxing! Search for those hidden objects, find the recyclable items and the silhouettes of lost and found items. Collect coins and buy souvenirs along the way. Earn achievements as you go. Its nice to forget about your everyday life and immerse yourself into an enjoyable adventure aboard the S. S. Liberty!! Be a Cruise Director and enjoy!!! Rated 5 out of 5 by quarlesqueen from I just LOVE these games, own everyone from these developers!! There is just something I LOVE about these games, so I will continue to buy them, more please :-) They have everything in them to keep me entertained, with lots of FUN, searching, for the true H0 lover, and kid at heart!! In each scene, you get to find special items, that are extra's, from the listed items, also in each scene, there are recycle items to search for, items in red are in secret hiding spots, these are a bit more difficult to find, but add to the fun, so lots to look for, which I LOVE!! In this game you can buy souvenir's as well, and than there are the fun mini games, in between, which bring me back to my childhood days, so I totally enjoy them even though they are not hard, they are FUN!! So I just purchased, but time for dinner, will be looking forward, to getting back to this little gem, these just make my heart WARM and FUZZY, so thank you developers, for another fantastic voyage/escape/vacation, wouldn't miss it! !